SellMyTimeshareNow.com . Browse an impressive inventory of timeshare rentals and resales found within Oregon’s top resorts: Sandpiper Condominiums, Eagle Crest, Paradise Cove Resort, The Pines at Sunriver, Worldmark Seaside, and Schooner Landing can be found. Enjoy vacations in Newport, Seaside, Redmond, Rockaway Beach, Lincoln City and other popular destinations in Oregon. Amenities vary by resort, but can include: full kitchens with dishwashers, washer/dryers, fireplaces, private balconies, beach access, pools, and on-site restaurants. All resorts listed on SellMyTimeshareNow .com are offered by individual owners at competitive rates. To view a selection of their timeshare rental specials, visit their website.877-815-4227. Oregon Beach Vacations. Various promotions and specials. Participating homes found here. Literally over 260 homes available as vacation rentals all quite distinctive and carefully selected to be special. Available in Yachats, Waldport, Newport, Nye Beach, Otter Rock, Depoe Bay, Gleneden Beach, Lincoln Beach, Lincoln City, Neskowin, Pacific City, Tierra Del Mar, Rockaway Beach, Manzanita, Cannon Beach, Seaside, Florence and Astoria. 690 SE 39th Street, Lincoln City, Oregon. 1-800-723-2383. see their special.html. Sell My Timeshare (Oregon Coast) At BuyaTimeshare.com we help existing timeshare owners sell their timeshares on the resale market. Those looking to buy or rent a timeshare along the Oregon Coast can find several timeshares for sale and rent by owner at the following resorts: WorldMark Seaside, WorldMark Gleneden and Paradise Cove Resort & Marina. Timeshare resales are an excellent deal because they are typically up to 50% less expensive than what the resort would charge directly. WorldMark is a unique point-based timeshare product that allows its owners to use their WorldMark points at any WorldMark timeshares. Paradise Cove Resort & Marina is a RV Resort and Marina that is highly sought after for its full marina on-site. Oregon Timeshare. Pacifica House / Waves House, Waldport. Specials and deals vary with season - call for more. Two contemporary vacation rental homes in Waldport. The Waves House sleeps 7 guests; 2 bedrooms, 2 full baths, comp wine, high speed wifi, 50” Smart TV, Some pets allowed, expansive views of the ocean, wood fireplace, cathedral ceilings, and a private hot tub under the stars with an ocean view. Especially child-friendly features. Pacifica House sleeps 8. Waldport, Oregon.. 541-968-0322. Website here. An Ocean Paradise Whales Rendezvous, Depoe Bay. Two oceanfront suites for a romantic getaway: Vacation Rental package or a Bed and Breakfast Package, you get to choose. 50 feet above the waves. Private deck, private outdoor entrance. Large outdoor deck / garden area, wood fire pit, Adirondack chairs. Binoculars to watch the whales. 147 N. Highway 101. Depoe Bay (15 mins from Newport, Oregon). 541-765-3455. Website here. The Coho Lodge. Call for specials, mentioning BeachConnection.net Specials you may find (depending on season, availability): Wine and Dine special: possible gift certificates have been offered in the past; bottle of champagne, wine, or sparkling cider; Extended check out, Unlimited DVD rental. The Coho also features a heated indoor pool, sauna, hot tub, a fitness center and free continental breakfast with waffle bar. 1635 Northwest Harbor Ave. Lincoln City, Oregon. 800 848 7006. www.thecoholodge.com. A1 Beach Rentals, Lincoln City. Call for specials, mentioning BeachConnection.net. A breathtaking collection of craftsman or traditional beachfront homes, or oceanview houses from one to seven bedrooms. In various areas of Lincoln City and overlooking the beach, with some in Depoe Bay. All kinds of amenities are available, like hot tubs, decks, BBQ, rock fireplaces, beamed ceilings and more. Some are new, some are historic charmers. Lincoln City, Oregon. 1 (503)-232-5984. www.a1beachrentals.com. Inn at Lincoln City. Call for specials, mentioning BeachConnection.net. Right on the famed D River with ocean views, and just a block from the beach. 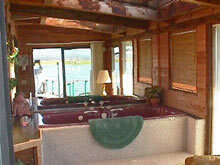 Elegant guest rooms; views and whirlpool tubs. ADA-defined service animal-friendly. Breakfast, free wi-fi, a business center, sizable DVD library, pets, 24-hour lobby. 1091 SE 1st Street. Lincoln City, Oregon. (541) 996-4400. Website here. Sandlake Country Inn. Call for seasonally-changing specials, mention BeachConnection.net. Cozy B&B secret, hidden along the Three Capes Scenic Loop. Like a small luxury hotel, with sumptuous amenities such as double Jacuzzi spa tubs, wi-fi. Private deck, breakfast delivered to your door. 8505 Galloway Rd. (Near Pacific City, Oregon). 877-726-3525. 503-965-6745. www.sandlakecountryinn.com. San Dune Inn, Manzanita. Call for specials, mentioning BeachConnection.net Just blocks from the beach, this cuddly little pet- and family friendly charmer boasts a host of complimentary fun stuff like beach games, beach chairs and bikes for carousing around town on, among other things. There are also free movies. Immaculate rooms - sense of fun and quirkiness as well. Small pet fee. www.sanduneinn.com . 428 Dorcas Lane, Manzanita. 503-368-5163. Beachcomber Vacation Homes. Call for specials, mentioning BeachConnection.net. Specials vary. Numerous vacation rentals in the Cannon Beach area, including Falcon Cove and Arch Cape. All homes have full kitchens, most with wi-fi, TV's, washer/dryer, and some are oceanfront and/or pet friendly. Depending on the home, you may find amenities and luxuries such as a barbecue, claw foot tub, a ship's ladder..115 Sunset Blvd. Cannon Beach, Oregon. 855-219-4758. 503-436-4500. Website. Inn at Haystack Rock. Call for specials, mentioning BeachConnection.net. 3 blocks from downtown, only a block from beach. Garden courtyard with a Spanish-style fountain. Private patios, barbecue area, free wi-fi, flatscreen TV with DVD player, large, complimentary DVD library. Some host sleep two or three, one hosts six. 487 S. Hemlock. Cannon Beach (15 mins from Manzanita). 800-559-0893. Inn at Haystack Rock website here. Blue Gull Inn. Call for specials, mentioning BeachConnection.net. They call it an “un-motel” experience, hacienda-themed wonder. Complete with a Spanish-style fountain. Some Jacuzzi tub, kitchens or fireplace. 632 S Hemlock Street. Cannon Beach, Oregon. 800-559-0893. Blue Gull Inn website. Beach House Vacation Rentals, Inc Call for specials, mentioning BeachConnection.net or see link Over100 homes between Seaside and Warrenton; some pet friendly. Balconies and decks with stunning views, hot tubs, swimming pool access. Kitchens fully equipped. Seaside, Oregon. 1-800-995-2796. www.beachhouse1.com. Coast River Inn at Seaside. Call for specials, mentioning BeachConnection.net or see link Overlooking tranquil Necanicum River, short walk to beach, Promenade and even downtown attractions and amenities. Some kitchenettes, free wi-fi, air conditioning. Some have a Jacuzzi. Some have a river view. Patios have chairs for outdoor lounging. 800 South Holladay Drive. Seaside, Oregon. (503) 738-8474. Website here. Inn at the Prom. 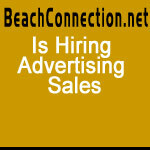 Call for specials, mentioning BeachConnection.net or see link. Part beach cottage and part upscale hotel (but without the high price), All rooms w/ jetted tub for two, fireplace, kitchens, presidential style pillow-top beds, flatscreen TVs, and free wi-fi. Free DVD collection, beach toys and beach chairs for frolicking in the sand. Large suites for bigger families. 341 S Prom. Seaside, Oregon. 800-507-2714. Inn at the Prom Website Here. Gilbert Inn Bed & Breakfast. 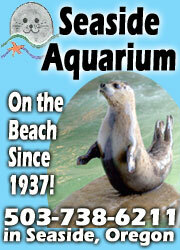 Call for specials, mentioning BeachConnection.net or see link. An adults only retreat. There’s even an antique organ in the lobby. Homemade breakfasts made daily. Private baths, ree wi-fi, in-room coffee maker, flat screen TV’s and bath robes. An outdoor fire pit as well. 341 Beach Drive. Seaside, Oregon. (503) 738-4142. Gilbert Inn website. Clementine's Bed and Breakfast in Astoria. 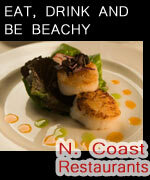 Call for specials, mentioning BeachConnection.net An engaging historic experience, topped off by fine foods. 847 Exchange Street. Astoria, Oregon. 503-325-2005. Website.